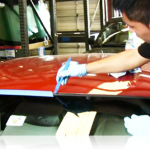 What you need to know about Now Glass windshield & auto glass replacement process. Now Glass Auto Glass offers a complete auto glass product line including windshields, side window glass, and mirrors for cars, trucks, vans, SUVs, tractors, buses and RVs. Now Glass Auto Glass backs our work with 2 years replacement guarantee if you have leaks. Now GlassAuto Glass handles the insurance filing for you and works directly with all major insurance carriers. Now GlassAuto Glass supports the only standards for windshield replacement in the U.S., the Auto Glass Replacement Safety Standards (AGRSS). If there is a windshield chip it can probably be repaired using a special resin and polishing technique. 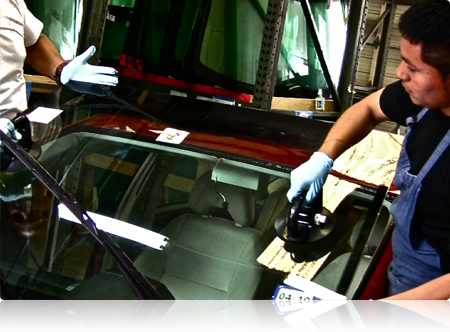 If the windshield has a crack larger than the size of a dollar bill, Now Glasscan replace the windshield with quality glass using adhesives recommended by the manufacturer. Count on Good Windshield Company Auto Glass for an expert diagnosis. Extracting the damaged windshield seems easy, but care must be taken not to damage the pinchweld. This is the ridge around the car’s frame that holds the windshield in place. If the pinchweld is damaged the new adhesive may not seal correctly, resulting in leaks and rust corrosion on the vehicle’s frame. Now Glass uses the latest extraction equipment to ensure proper removal. We know you want the job done right the first time. Now Glass offers OEM quality windshield glass because it fits correctly and restores the vehicle to its original condition. Most aftermarket windshield glass is made from a copy of a mold of an OEM windshield, not from the windshield’s original mold in the factory. So aftermarket windshields may not be to the exact dimensions or the glass may be too thin. This results in leaks, increased road noise, and possible failure of the glass in an accident. OEM quality windshield glass fits right the first time. A quality windshield deserves OEM quality adhesive. Now Glassuses only quality adhesives by Dow and Sika, the same ones the vehicle manufacturers use. The proper adhesive is applied to the vehicle’s pinchweld and the edges of the windshield. 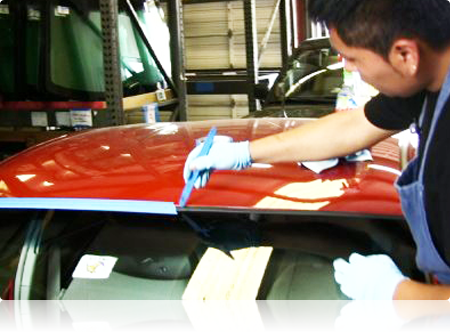 so call us today at (832) 242-3333 for all your auto glass. We are a premier provider of replacement glass for trucks. Whether it be your windshield, door, vent, side, or back glass, if it’s broken we can fix or replace it. Original equipment (“OEM glass”) is available upon request. Auto Glass is a key structural part of your vehicle and important to your safety and that’s why our expert technicians provide quality installation. 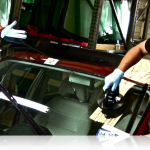 We always have our customer’s safety first in mind that’s why Now Glass uses materials that surpasses the standard requirements for windshield installation adhesives. 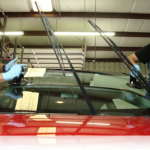 Windshield repair can help stop further damage from spreading, make the damage less noticeable, and keeps the structural integrity of the windshield. Our expert technicians can repair chips, nicks and cracks up to 6 inches long and takes 45minutes or less to complete. Windshield Damage can result from various reasons. Whether its from cold weather stress, warm weather stress, driving over speed bumps, pot holes or other uneven roads, these stressors put pressure on the car and can result to windshield chips or cracks. A chip can become a crack due to these weather and environmental stressors. 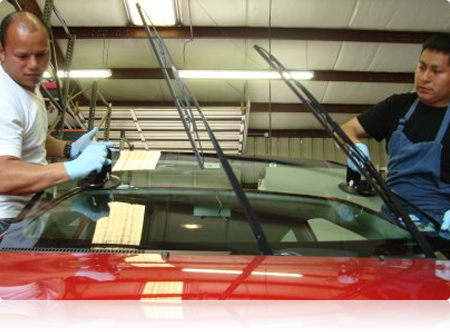 A windshield repair can prevent the onset damage to become worse and altogether avoid windshield replacement. Taking care of these minor auto blemishes immediately will save you money from having to replace the windshield at a later date. Repairing a windshield is an affordable solution. Most insurance companies waive your deductible if you choose to repair than to replace, making it a cost-effective solution. Best of all you have no out of pocket expense to pay. Now Glass technicians are certified repair specialist and we only use the best quality materials. All our repairs are guaranteed for your car to pass lease turn-back and state vehicle inspections. We are a premier provider of replacement glass for all makes and models for all types of vehicles (car or truck, domestic or foreign). Any vehicle glass component such as your door, vent, side, or back glass, if it’s broken we can fix it or replace it. Original equipment (“OEM glass”) is available upon request.